(by Agence France-Presse) – Nigeria’s President Muhammadu Buhari was the first leader from sub-Saharan Africa to be invited to meet with President Trump at the White House. Nigeria’s fight against the Boko Haram jihadist group was expected to top the agenda in talks between President Donald Trump and Mr. Buhari. 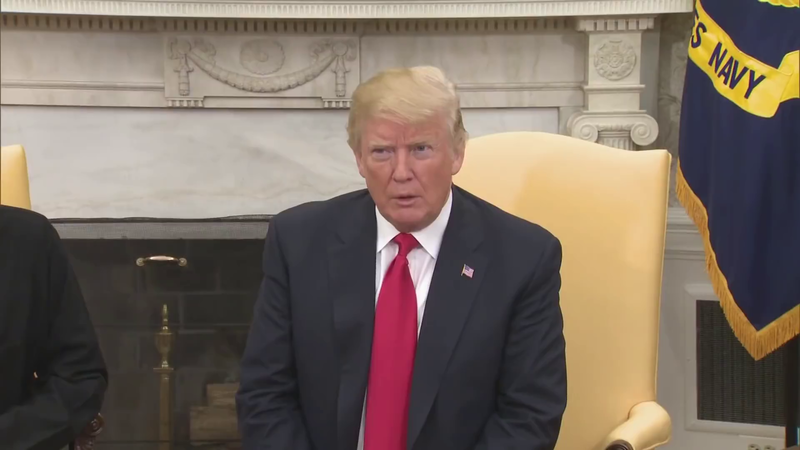 As they opened discussions in the Oval Office, Trump said it was important to meet face-to-face, “especially on terrorism and terrorism-related” issues. “We have a very big trade deal we’re working on for military equipment, helicopters and the like,” Trump added. 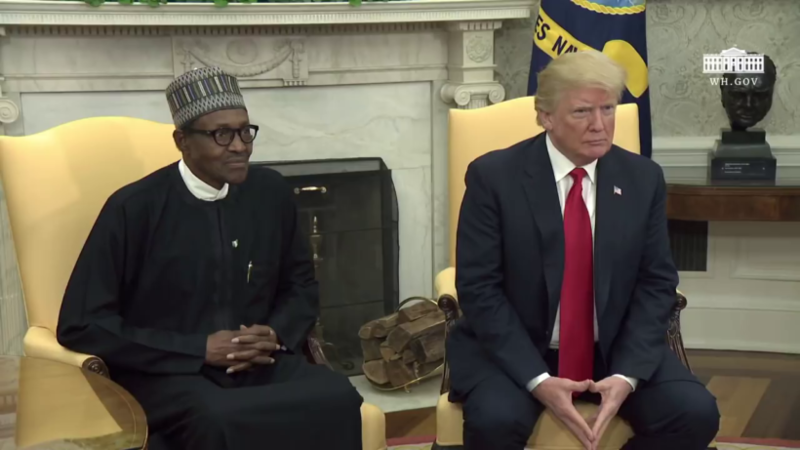 “We’ve had serious problems with Christians who have been murdered, killed,” Trump said, an apparent reference to the most recent attack on Christians on April 24 on a church in central Nigeria, where 18 people, including two priests, were murdered. “We’re going to work on that problem and working on that problem very, very hard,” Trump said. President Buhari for his part was focused on sealing a deal to buy a dozen A-29 Super Tucano turboprop light attack aircraft for use in the fight against Boko Haram. In January 2017, then-president Barack Obama froze the deal after Nigeria’s air force bombed a refugee camp, killing more than 100 people, on a mission against Boko Haram. [The Trump administration is now] allowing the sale to go forward, officials say. Nigeria is also seeking support for its farm and transport sectors. Buhari was scheduled to meet with potential investors in Nigerian farming and food processing. Amid intensifying competition with China and Europeans for the business of oil-rich Nigeria, officials accompanying Buhari also will be meeting with aviation giant Boeing, according to his office. On Friday, General Electric announced that an international consortium it leads has signed a deal for a $2 billion project to refurbish Nigeria’s narrow-gauge railway. …Trump’s receiving Buhari at the White House just after visits by France’s Emmanuel Macron and Germany’s Angela Merkel is a positive signal, analysts say. “The fact that the president of Africa’s most populous country is visiting Washington at all may be more important to strengthening the US-Africa relationship than any discussion of policy during [former Secretary of State Rex Tillerson’s] trip [last month before he was fired],” said John Campbell, a former US ambassador in Abuja who is now at the Council of Foreign Relations. Published at AFP on April 30, 2018.
b) What was the main item on the agenda during President Buhari’s meeting with President Trump? c) What additional problem in Nigeria did President Trump address? d) Most media reports on President Buhari’s invitation to the White House focused on the fact that Buhari was “the first leader of an African country to be invited to the White House” and then highlighted President Trump’s comment about African countries being [dumps]. How relevant is it to you for the media to focus on President Trump’s past comment, or the fact that this is his first official White House invitation to a leader from sub-Saharan Africa? Explain your answer.